The Intensive Retreat provides an opportunity to deepen the practice of Centering Prayer in an atmosphere of profound silence and community support. There are six 30-minute Centering Prayer periods daily. The prayer is supported with viewing inspirational videos. Soul friending with the staff can be scheduled. An established practice in daily centering prayer of at least 6 months is highly recommended. 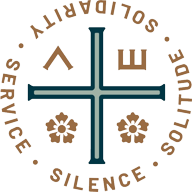 The Post Intensive Retreat offers 7 days of grand silence with six 30- minute Centering Prayer periods per day. This retreat is for those who have made an Intensive Retreat. Soul friending with staff can be scheduled. Daily Lectio Divina is available. Registration: Reservations will be taken in the order in which they are received. A $100.00 non-refundable deposit is required with registration. Registration begins March 1, 2019. Full payment is due by August 1, 2019.